Newly deposed Egyptian President Hosni Mubarak and his family have a fortune of $1 billion to $5 billion stashed in foreign banks, according to U.S. intelligence estimates -- a significantly lower figure than most recent estimates of the wealth accumulated by Mubarak during his 30 years in power. Some experts have estimated that the Mubarak family has a net worth as high as $70 billion, while others have reported $40 billion, but U.S. intelligence sources told ABC News that the real number is probably much lower. A senior U.S. official said she "had no clue" why estimates circulating in the media in recent weeks were so much higher. "Maybe they're counting in dinars," she said. 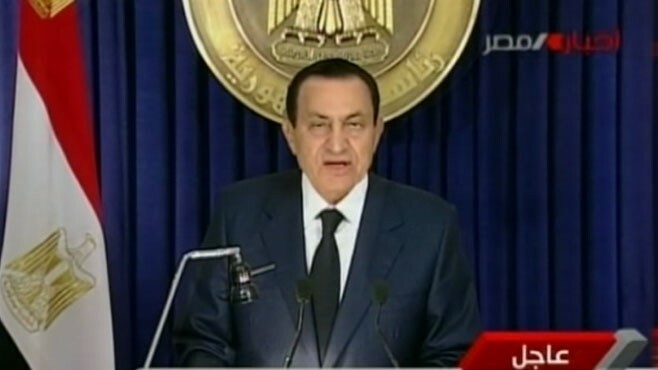 No one disputes, however, that Mubarak and his family profited from his long reign, and that he and his wife and sons lived in splendor underwritten by the U.S. government, enjoying a house in London, an opulent presidential palace, a fleet of jets and a vacation home on the Red Sea. "They do live like royalty," said Adel Iskander, an Egyptian-Canadian lecturer on Middle Eastern media at Georgetown University, "and I think that's very evident from the way in which they carry themselves." The U.S government helped with some $335 million of taxpayer money for the nine Gulfstream luxury jets that made up the Egyptian Presidential fleet. Mubarak also owns a vacation home in the Red Sea resort town of Sharm-el-Sheikh, and a multimillion-dollar townhouse in London's Knightsbridge neighborhood is registered in his son Gamal's name..
Said Iskander, "They're out of touch with a population that is literally, the majority of which live under the international poverty line of $2 a day." People now tracking Mubarak's money say he began to accumulate his fortune while still in the Air Force under President Anwar Sadat, when a close aide was convicted of taking a cut from US military aid contracts. After he became president 30 years ago, Mubarak made sure his son Gamal was the man to see for any companies that sought to do business in Egypt. In Switzerland today, officials froze all bank accounts connected to Mubarak, his sons, his wife, his in-laws, and several top government and party officials who were in his inner circle. One of them, Ahmed Ezz, ran Mubarak's political party and had a virtual monopoly on the country's steel industry. Angry demonstrators burned placards with Ezz's photo in Cairo. US authorities would not comment today on what action the U.S. might take against any assets Mubarak may have in this country. A group of Egyptian lawyers, and a former deputy foreign minister have already demanded that Mubarak and his family be put on trial for stealing state worth.